It’s a battle between two of the best gaming consoles in the history, and it’s heading straight to your entertainment room – very, very soon. For the meantime, let’s see the difference of two of the best gaming royale, the Xbox 720 and PlayStation 4. 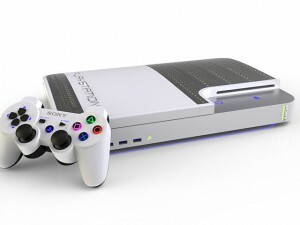 Microsoft Xbox 720 is said to be powered by an 8-core AMD processor with 8GB RAM, and graphics of 800MHz D3D11.x GPU. It will also possess wireless connectivity including Wi-Fi and Ethernet for social sharing and, perhaps, 3D support. For the control cruise, which Microsoft already dominated, rumours claimed that the Xbox 720 will have better sensor, higher resolution, and more players tracked. Microsoft has not yet announced Xbox 720’s launching date, but with Sony announcing their PS4 to be released on Holiday 2013, Xbox720 will most likely be on stores at similar times. PS4’s processor power is pretty much the same with Xbox 720’s. It is powered by an 8-core x86-64 AMD processor and a GDDR5 RAM of 8GB. Its graphics processor comprises a unified selection of 18 units, collectively making a power of 1.84 teraflops. For the controllers, Sony reinvents its popular dual shock joysticks by mixing and matching controller gears with PS Vita. PS4’s social and shared gaming is also said to be one of the most awaited features. The “Share” button on its controller will allow players to brag scores to online friends. Furthermore, you can let your friends view and spectate your feeds in real time. For the pricing of the consoles, don’t expect great difference. Both Xbox 720 and PS4 are expected to be tagged between $400 and $500.